It’s important to relax and take a break from work, especially if you’re working every day during the week. You might be someone who doesn’t have the time, who loves to work, or who just doesn’t enjoy falling behind. 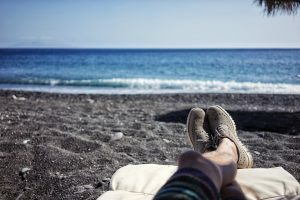 In this article, I’m going to give you some reasons on why you should take a break from work and go on a vacation. In America, we have a workaholic nature that is instilled in us at an early age. When we are not working, something might feel off or wrong. Let’s start off with some of the health benefits of relaxing and enjoying your time off. For one, taking a vacation is a stress reducer. When anxiety builds up, your mental and physical health comes into a state of risk. By going on a vacation, you’re able to take that stress and move it to the back burner. There’s a link between vacation time and a healthy heart. Results taken from people who take frequent annual vacations were 32 percent less likely to die from heart disease than their counterparts who forwent vacations. Having trouble sleeping? That won’t be a problem when you come back from a vacation! After going on vacations, studies show that employees have a higher level of energy and morale. A connection with creativity and motivation can be linked back to a vacation or time off. Employers would benefit from offering time off to workers due to all of the benefits associated with it. With workers who will be more motivated to work after vacation time, you will see a change in company morale, and I’m sure that productivity will be increased with it. It’s also important to remember that your employees can get burned out. Vacations are a good way to get employees in a better state of mind and to keep their work pressures and discouragement down. Enjoy your downtime and stay in the best mental health possible for you. If you feel like you’ve been stressed out, take a break from work to get yourself in the right mindset.